Dedicated to Purity, the Environment and Charity. 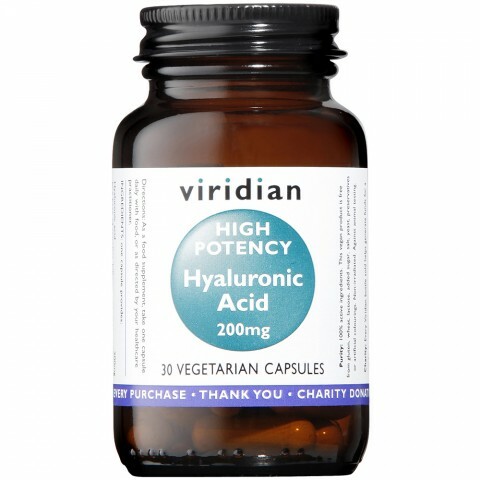 High Potency Hyaluronic Acid. Part of the Viridian Nutrition range of nutritional supplements and beauty products dedicated to Purity, the Environment and Charity. Hyaluronic acid 200mg, in a base of alfalfa, spirulina and bilberry.